Sign up to receive email updates when we launch new games, participate in early testing, and learn about future promotions! It’s the easiest way to help your child learn new skills, and have fun doing it. Children learn best when they are engaged and entertained, and Ready Set Learning creates games that children can enjoy, and become immersed in, to allow learning to happen naturally. 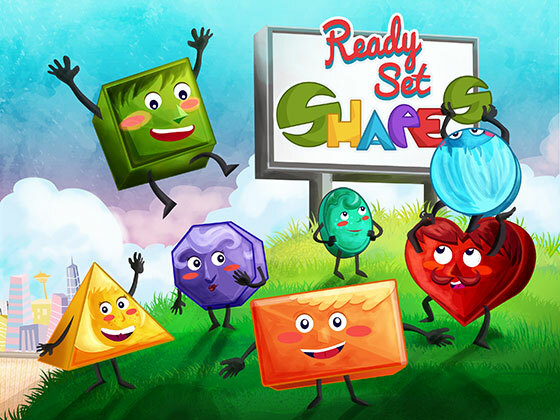 Our games feature characters and concepts that inspire and delight children, combining fun experiences like racing, and interacting with quirky characters, with important skills, such as reading comprehension, vocabulary, shape identification, and math. Our games work on the devices you already own and love, both iOS and Android, so whether you’re looking for homework assistance, a head-start for your child, or help catching up, Ready Set Learning is only a tap away.